January 2018 and the snow keeps coming! 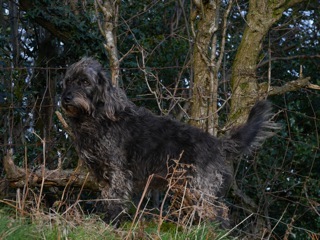 We have had regular frosts, sleety rain and snow showers through January. Saying that, we have also had beautiful days of blue, blue sky and on those days there is nothing better than to be wrapped up well and working outside. 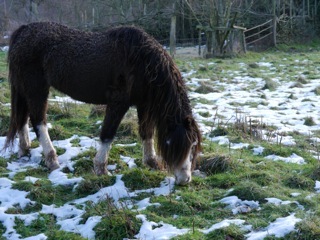 Looby grazing as the snow melts away. 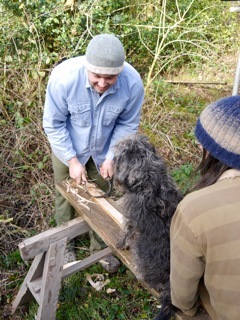 Here Rob is in-shaving split chestnut sticks, watched on by Daisy, who decided to hop up onto the trestle and to be in on the action. The cleaned up chestnut sticks are being laid out, before having a two week soaking in a water bath. 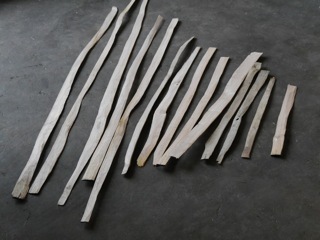 After this they will be woven together to make the headboard of the chestnut bed. January with its wintery weather is the perfect time to settle down with a pot of tea, or two and to sort through seed packets and to get excited about the coming years’ planting. I order my seed from The Seed Co-operative. 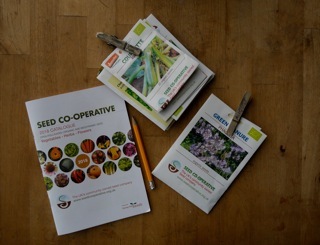 For anyone that doesn’t already know this community owned seed company, that is growing and selling organic and biodynamic open pollinated vegetable, herb and flower seed in the UK, do check them out at www.seedcooperative.org.uk. 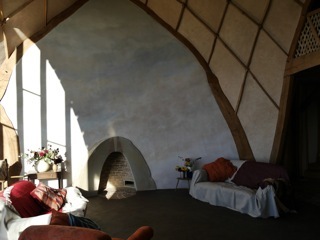 In a world where we have lost more than 90% of food crop varieties, where 75% of seed is sold by just three corporations whose other interests are in fertiliser and pesticide sales and whose markets have resulted in the dominance of F1 hybrids whose seed cannot be saved by growers, the Seed Co-operative is a shining light. Their website is excellent, not only for purchasing seed, but also for information, news and events – well worth a visit. 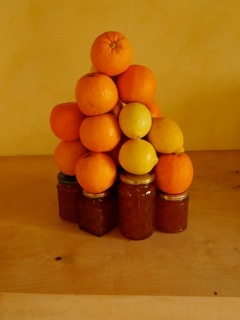 January is the month for making marmalade in our house, when organic seville oranges are available in the shops. Regular visitors like Auntie Margaret, know that if they come to visit in January, they will almost certainly be presented with a chopping board, a sharp knife and a seemingly endless supply of oranges! We make this recipe many times over, giving us marmalade for the whole year. Cut up the skins and insides of the oranges and lemons. Carefully remove all the pips and put them in a separate bowl. Cover the pips with ½ litre of water. Cover the chopped oranges and lemons with 4 litres of water. Leave these both to steep over night. Next day put the pips in muslin and tie securely. Add this bundle to the chopped fruit and boil for 1 hour. After this time remove the muslin bundle of pips and discard. Weigh the boiled fruit and water. For every 1 kg weight add ¾ to 1 kg of sugar, depending on personal taste. Dissolve the sugar in the fruit, stirring all the time. Boil up for no more than ¾ hour and a setting point is reached. At the start of boiling the marmalade, put a saucer in the fridge. When the marmalade is starting to get close to being ready and sticking on the stirring spoon, put a small amount of marmalade on the cold saucer and pop it back in the fridge for a few minutes. If the cooled marmalade on the saucer crinkles when you run your finger through it, the marmalade is ready. Take the marmalade off the heat and let it sit for a while before putting the marmalade into clean, hot jars from the oven.